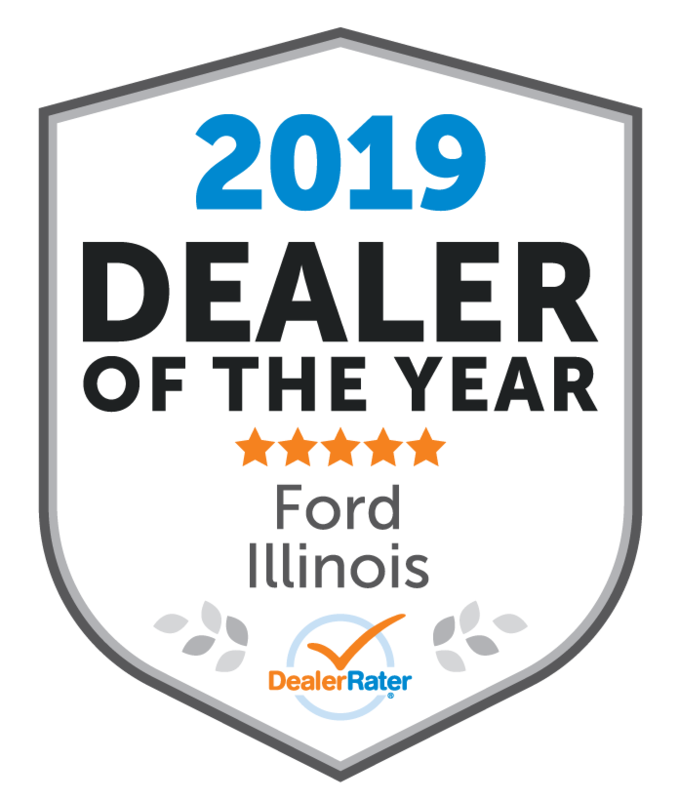 Morton, IL – January 25th, 2019 – Mike Murphy Ford Inc has been awarded a 2019 DealerRater Dealer of the Year Award, which recognizes auto dealerships across the U.S. and Canada who deliver outstanding customer service, based on consumer reviews written on DealerRater.com. This Award is presented to the highest rated Ford dealer in the State as determined by customer reviews. Out of the 170 Ford Dealers in the State of Illinois leveraging DealerRater, Mike Murphy Ford came out on top! The DealerRater Dealer of the Year Awards are based on reviews by new- and used-car shoppers and those who took their vehicles into dealerships for service. Reviewers evaluated Mike Murphy Ford Inc on its customer service, quality of work, friendliness, pricing and overall experience. Mike Murphy Ford Inc has demonstrated consistently high PowerScore™ ratings for customer satisfaction, placing it in the top of its class. The PowerScore is determined using a Bayesian algorithm that factors the dealership’s average DealerRater consumer rating and the total number of reviews written about the dealership during the 2018 calendar year. Founded in 2002, DealerRater, a Cars.com Company, is the world’s leading car dealer review website that connects consumers with the right person at the right dealership. The site offers nearly 5 million sales and service reviews across 42,000 U.S. and Canadian dealerships, including a network of more than 5,000 Certified Dealers. DealerRater content has a reachable audience of more than 32 million consumers across the web each month. By offering a product suite that allows qualified dealerships to manage their reputations and achieve higher SEO rankings, DealerRater supports new customer connections by growing online presence. Mike Murphy Ford is also the proud recipient of the prestigious Ford President’s Award with win­ning the award 19 times in the past 22 years. The President’s Award acknowledges Ford Dealerships that have led the nation in exceptional service and vehicle ownership experiences for their custom­ers. Ford Motor Company’s President’s Award is earned by an exclusive group of approximately 400 out of nearly 5,000 dealerships. This honor is awarded annually to dealers who provide their customers with exceptional treatment throughout the life of their Ford vehicle.